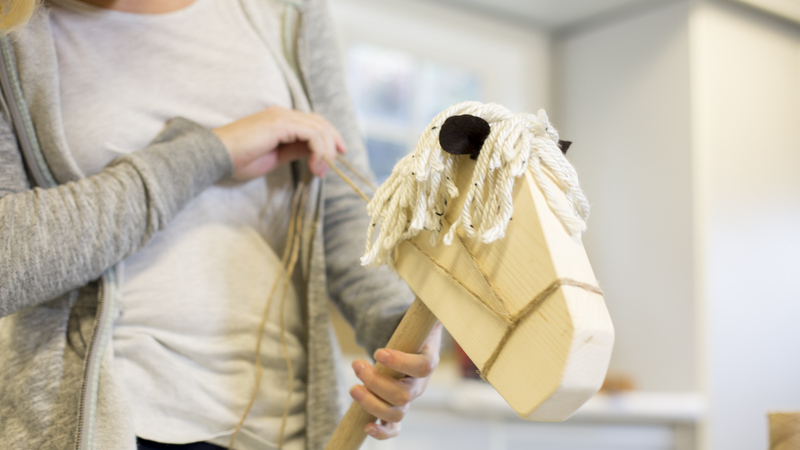 "This hobby horse is adorable, fun, and easy to make." 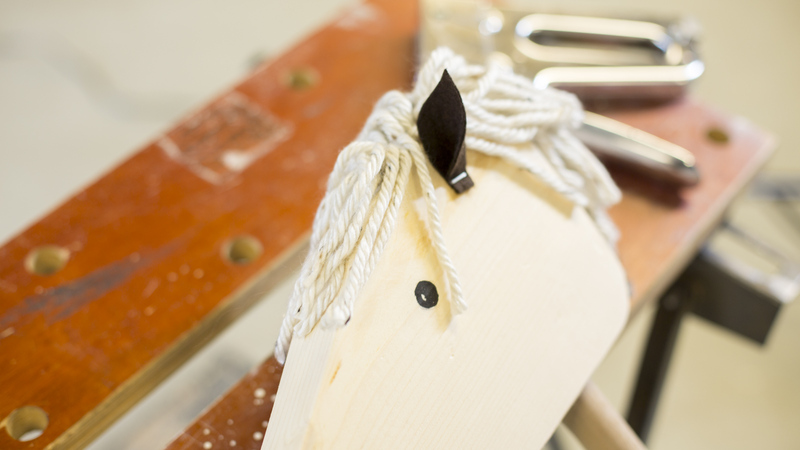 I don't know about you, but for me a hobby horse conjures up memories of childhood, Christmas, and holiday decorations, and we're showing you how to make your own—DIY style! 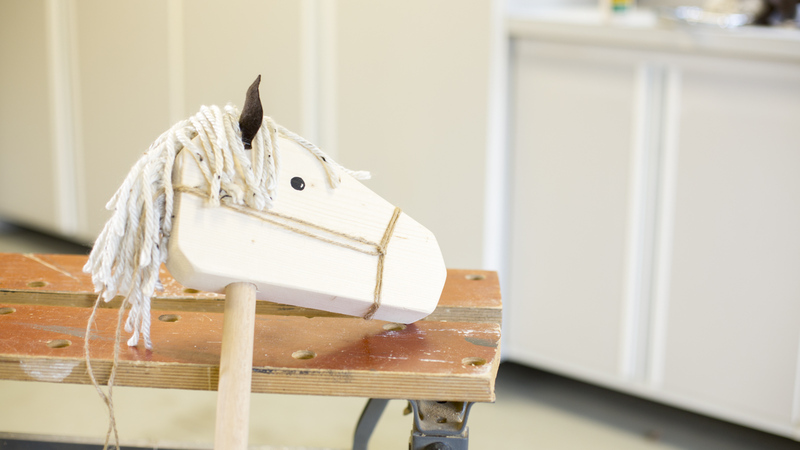 Begin by printing out the template for the horse's head and ears here. 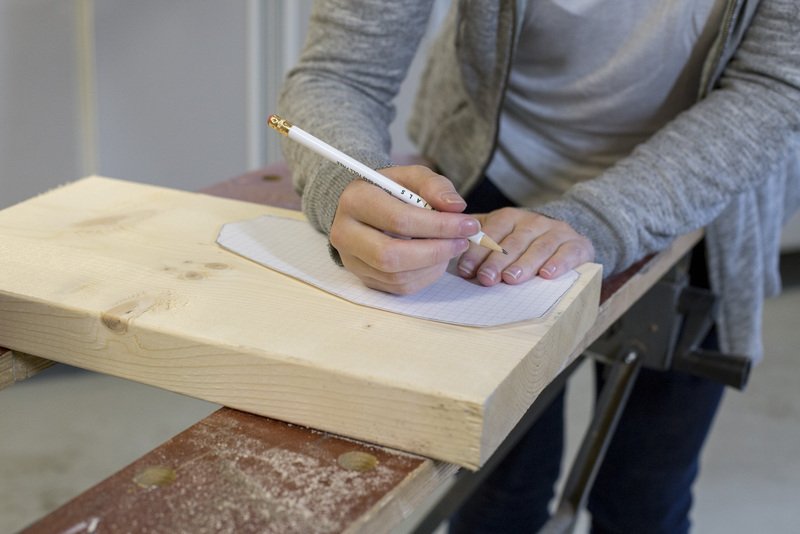 Now you can cut out the shape of the horse's head and—using a pencil—trace the shape onto your board. 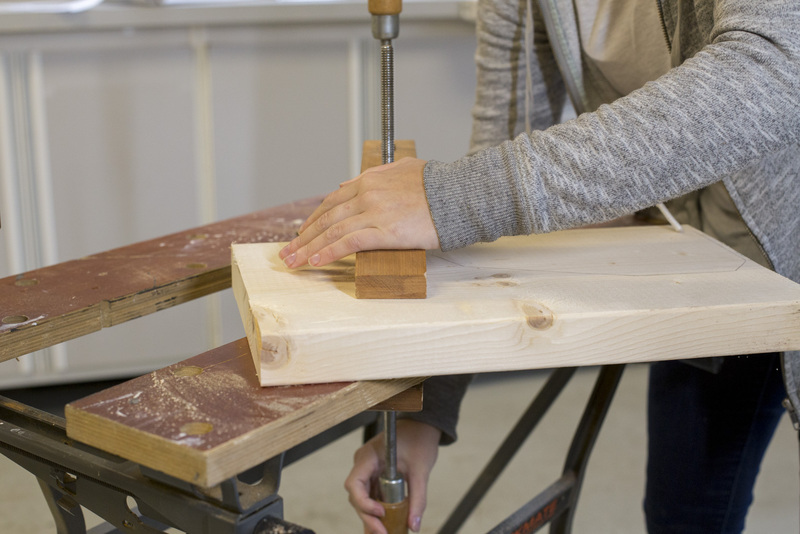 Now secure the wood to your workbench using a clamp. 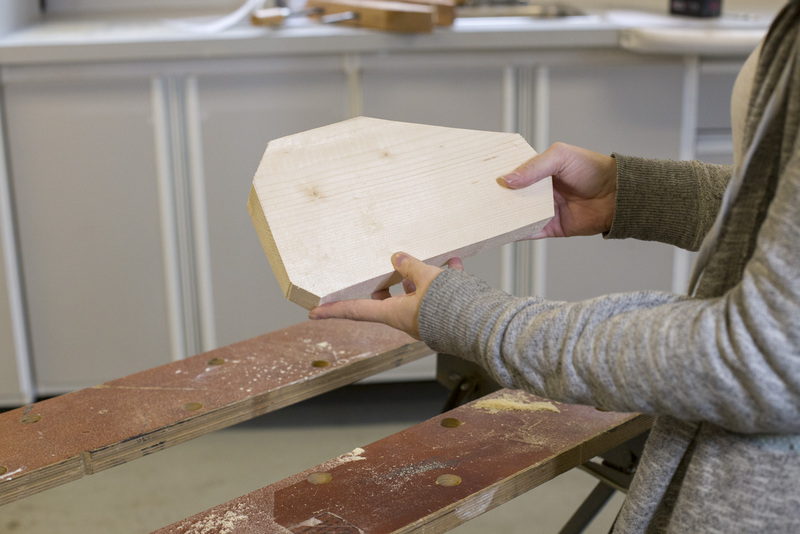 Then, carefully cut out the shape using a jigsaw or a circular saw. It's time to sand. 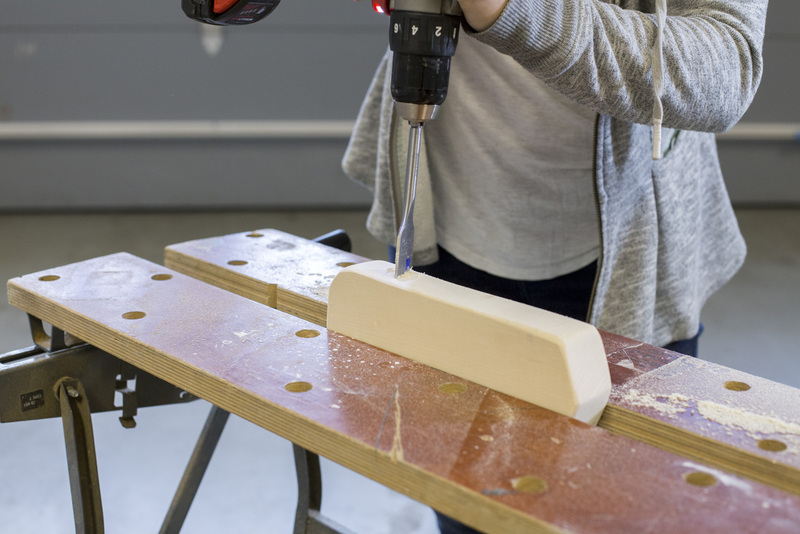 You can sand this by hand or use an electric sander. 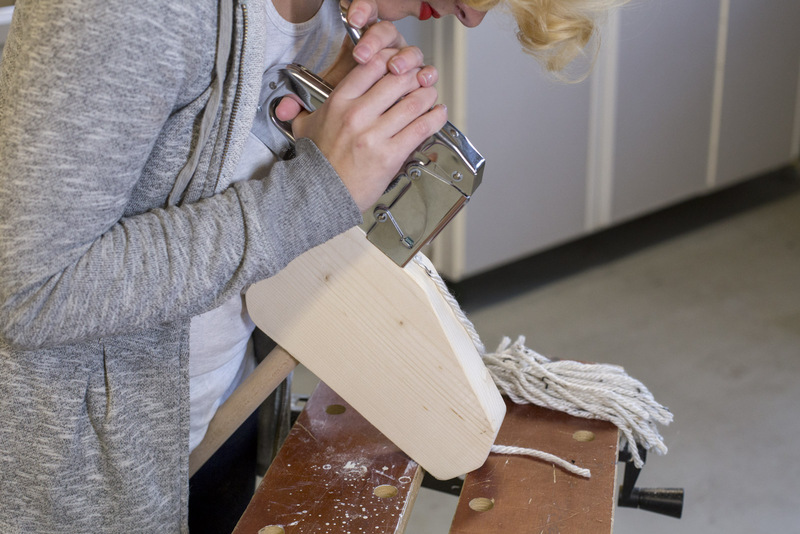 Keep in mind, you'll want the end result to be extra smooth to ensure little hands don't get splinters! 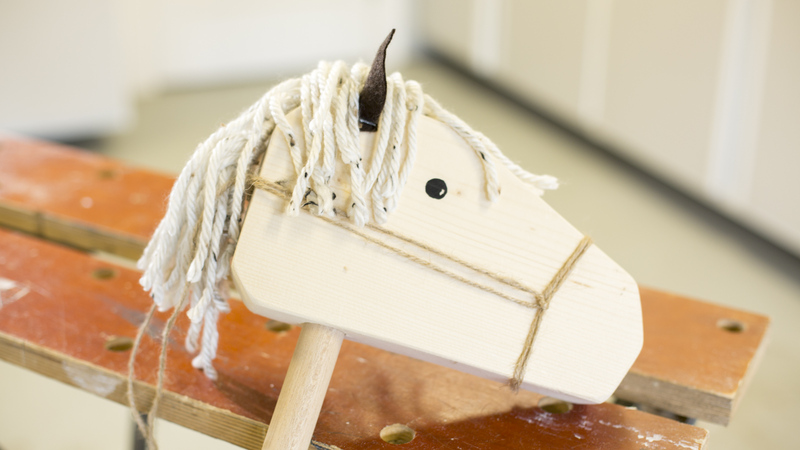 Next, secure the horse's head so you'll be able to drill into the bottom of it. 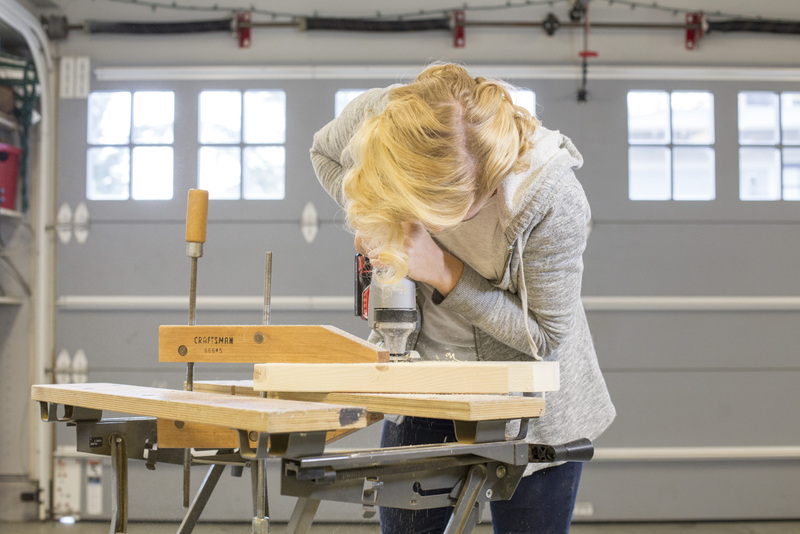 We have this handy workbench, but if you don't have something like this, clamping the piece on its side to your work area will be just fine. Measure 2-3" in from the back of the head . 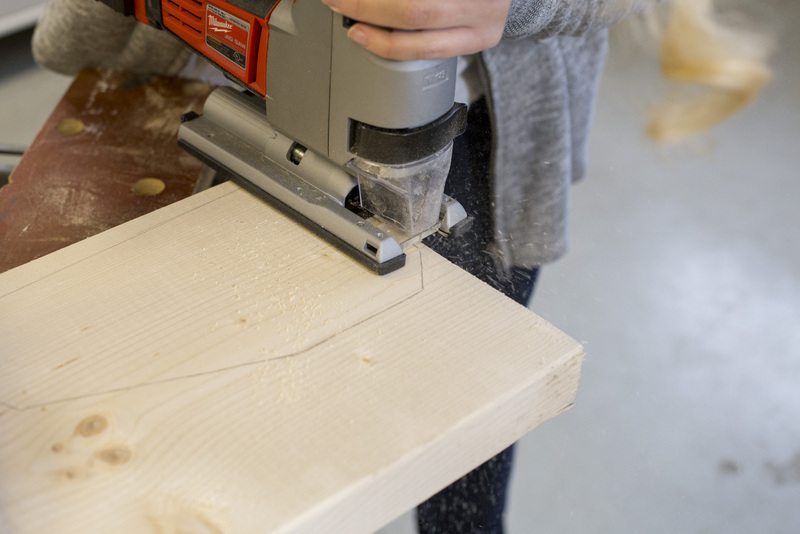 Using a 1" spade bit, drill a hole that's 2-3" deep. 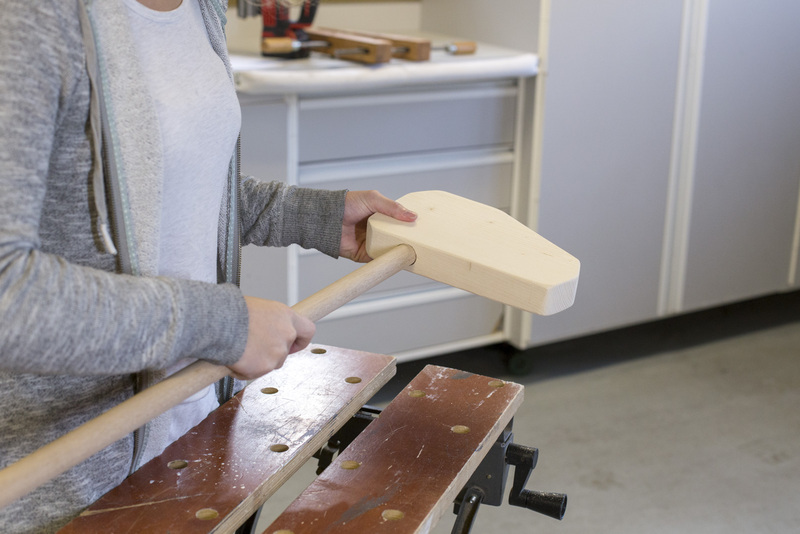 Now we'll secure the dowel in place. You'll need to cut it to be appropriate for the size of the child who will be using it. 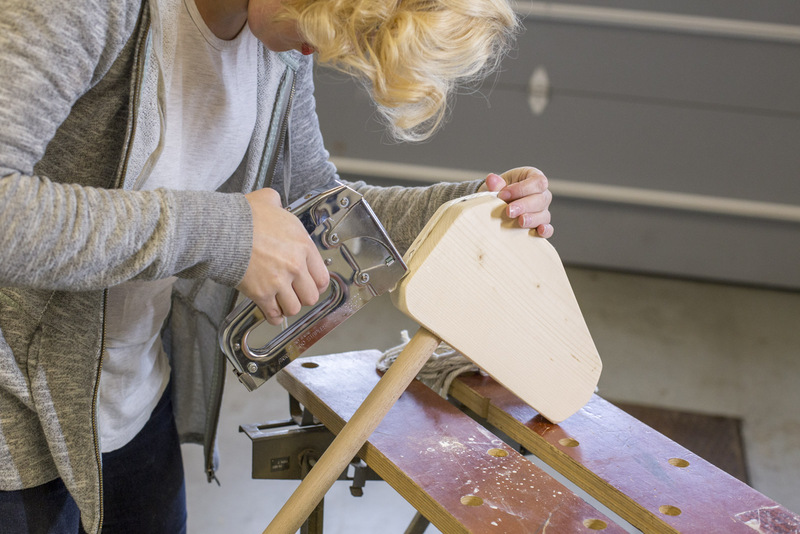 You can use a handsaw to do this. 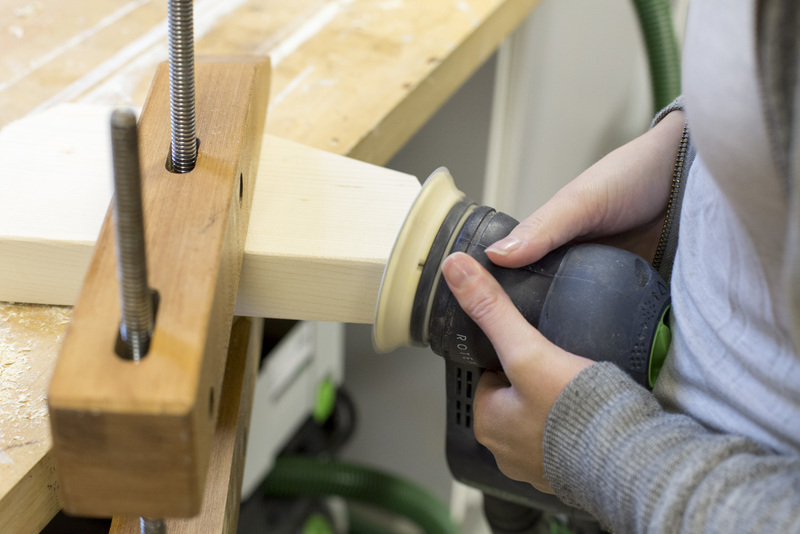 After cutting the dowel to size, add glue to the hole you just drilled, set the dowel in place, and allow it to dry. 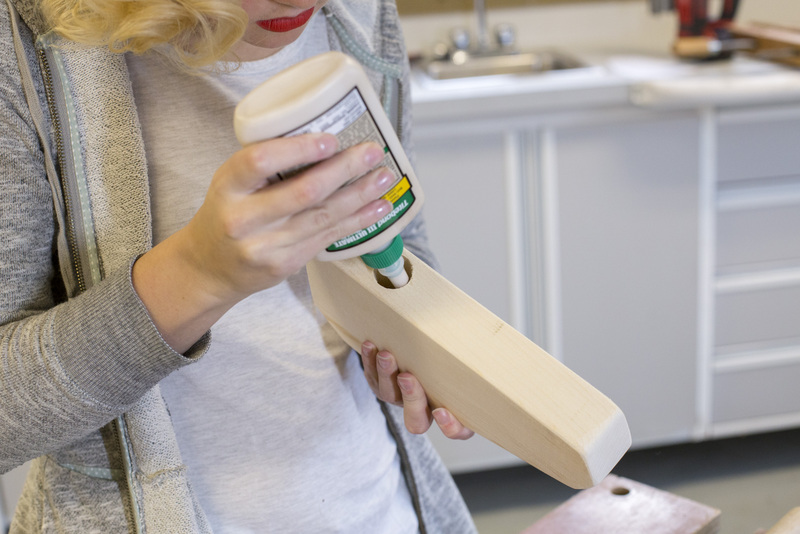 By inserting the cut piece into the hole you can also eliminate a step of sanding! 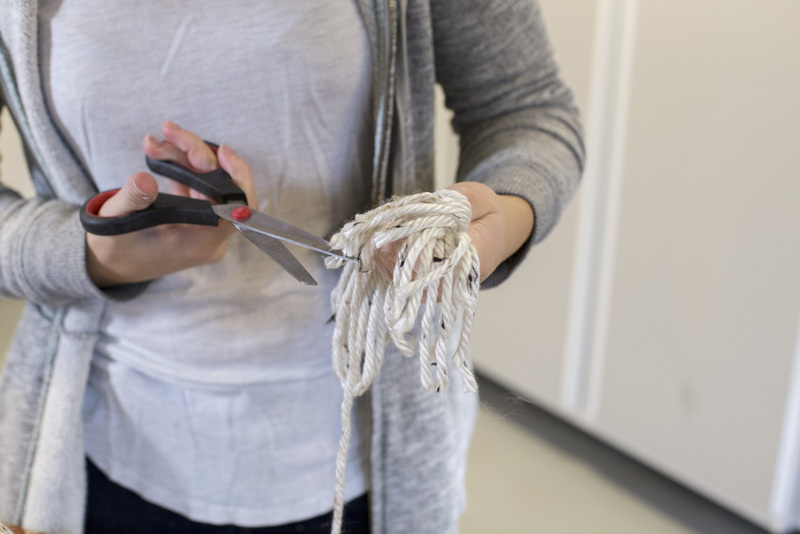 —as an alternative to buying yarn, you can also use a mop head! Staple one piece of yarn along the horse's head in line with where the main will be. and staple it down every 3-4". 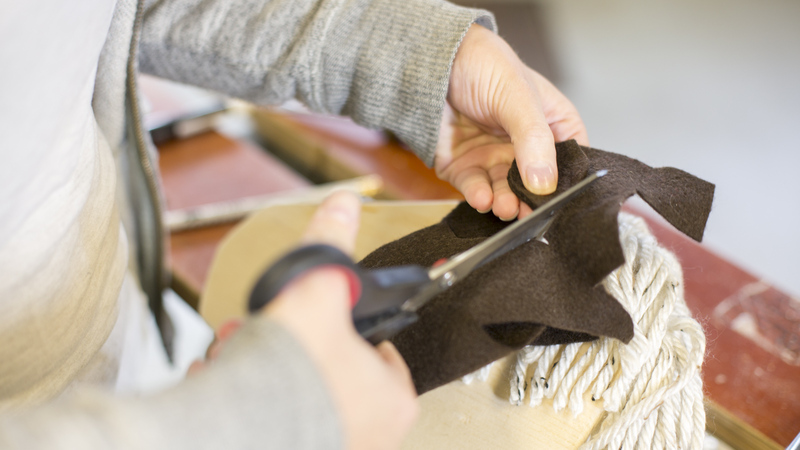 Then, tie the 12" lengths of yarn to the piece you've attached to the horses head. Next, draw on some eyes. We used an acrylic paint marker for this step (but you can also just use a permanent marker). Locate the ear templates (they are on the same template as the horse's head). Use the template to cut out the ears. We used felt and loved the way it looked. Finally, add the reins using jute or a similar material.